Start will be on Oct. 16, 2010. The Wheelchair Club RC ENJO Vorarlberg engages in a new, ambitious adventure. 4,000 km race distance and 12,000 meter of altitude variation to cross the entire fifth continent. From Perth in the west of Australia to the cosmopolitan city Sydney, on the opposite side of the country. To consider, Australia is as large as Europe! Four paralyzed, extreme athletes, will engage in this challenge - to cross the finish line in Sydney on their hand-bikes in just 7 days. They have to battle enormous heat of up to 50 degrees Celsius during daytime and icy temperatures below zero during the nights in the desert. 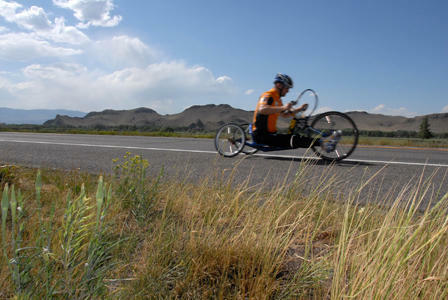 By comparison: the official world record for this route is held by Gerhard Gulewicz (AUT), a non-handicapped long distance cycling professional. 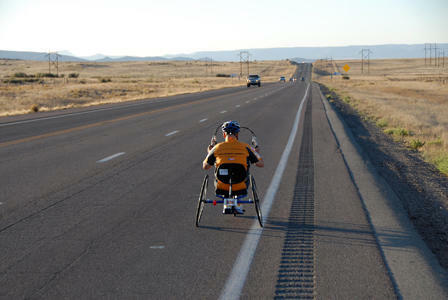 In 2007 he finished this race in 7 days, 8 hours and 49 minutes. 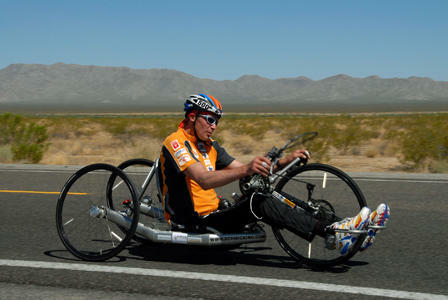 If these four hand-bikers brake that world record, they will earn a spot in the Guinness book of world records. Dangerous downhill passages, endless straights of the Australian Flatlands, total darkness of the Outback as well as the hazard from those gigantic trucks with up to 12 trailers and over 100 meter in length, will challenge the best of these athletes and their 15 head support team, touching the limits of their physical and mental abilities. 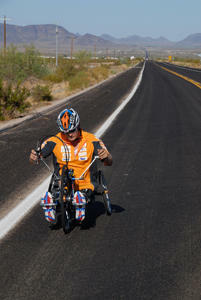 The ambitious goal of these four wheelchair athletes is to beat that world record as first hand-bikers ever! To prove the accuracy and sportive nature of the project, an official referee will be present during this world record attempt. Join in and become a sponsor of this incredible project! 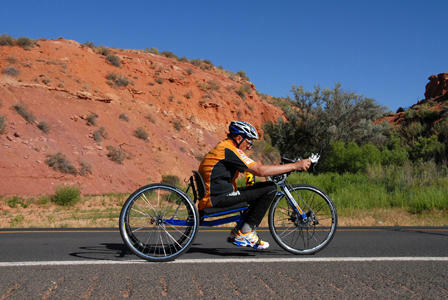 Support these remarkable athletes to reach their goal with exceptional endurance and iron will to be an example for sportsmen, non-sportsmen, handicapped or non-handicapped around the world. 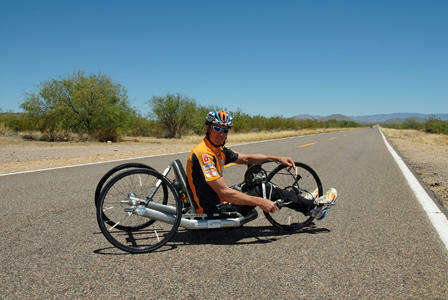 Being one with these extreme athletes means giving hope and encouragement to many people. Support the RACE ACROSS AUSTRALIA Team not only in their amazing challenge, but also in other projects like "Licht ins Dunkel" and "Wings for Life" (Research for Paralyzed). HELP US TO REALIZE THIS REMARKABLE ATHLETIC ENDEAVOUR.